Telegraphenmessordnung Seil 1. 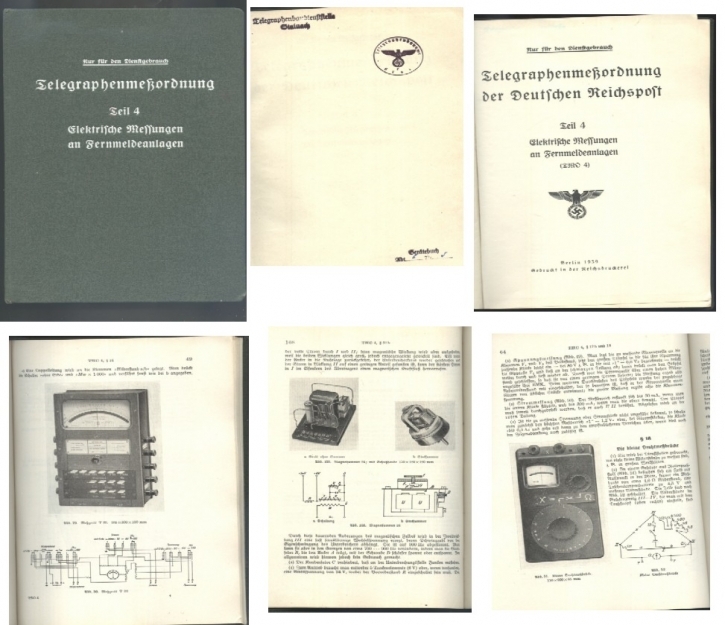 A hardback telegraph and communications book that was printed in 1940 and published in Berlin. The book contains 203 pages with multiple diagrams and pictures. There is a Voltmeter that is displayed in this book which is also pictured on this website. CLICK HERE to view that meter. Telegraphenmessordnung Seil 4. 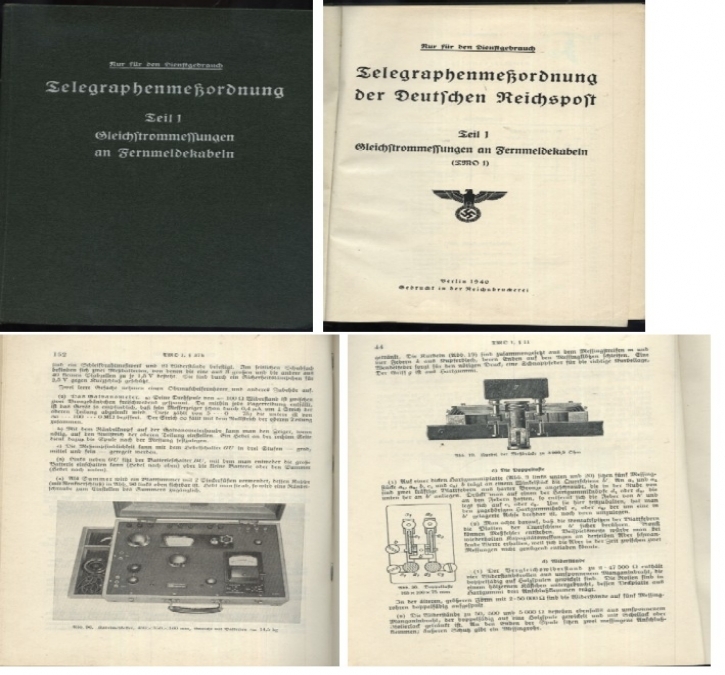 A hardback telegraph and communications book that was printed in 1939 and published in Berlin. The book contains 176 pages with multiple diagrams and pictures.